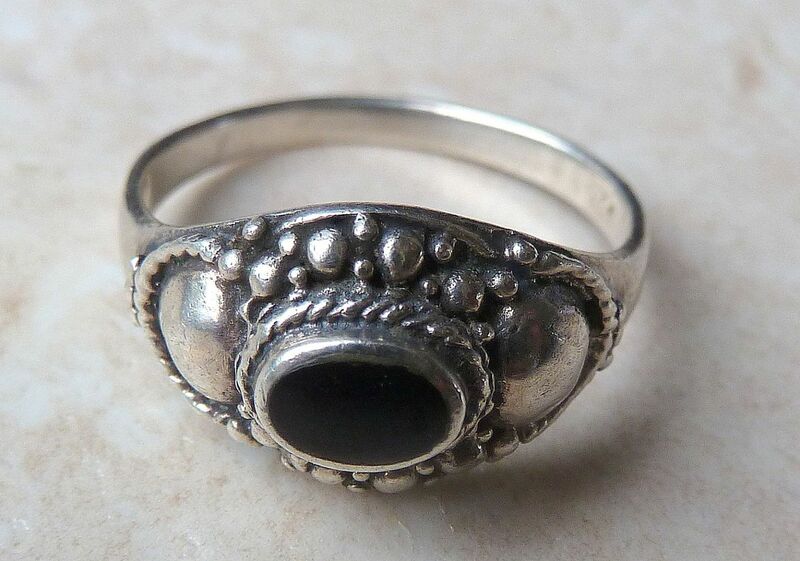 Sterling silver ring with a centrally set faux onyx stone and faux marcasite detailing. 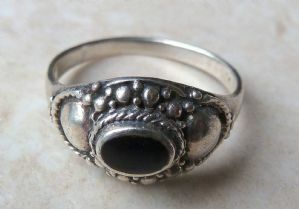 A lovely sterling silver ring with a centrally set faux onyx stone and faux marcasite detailing above and below the faux onyx. 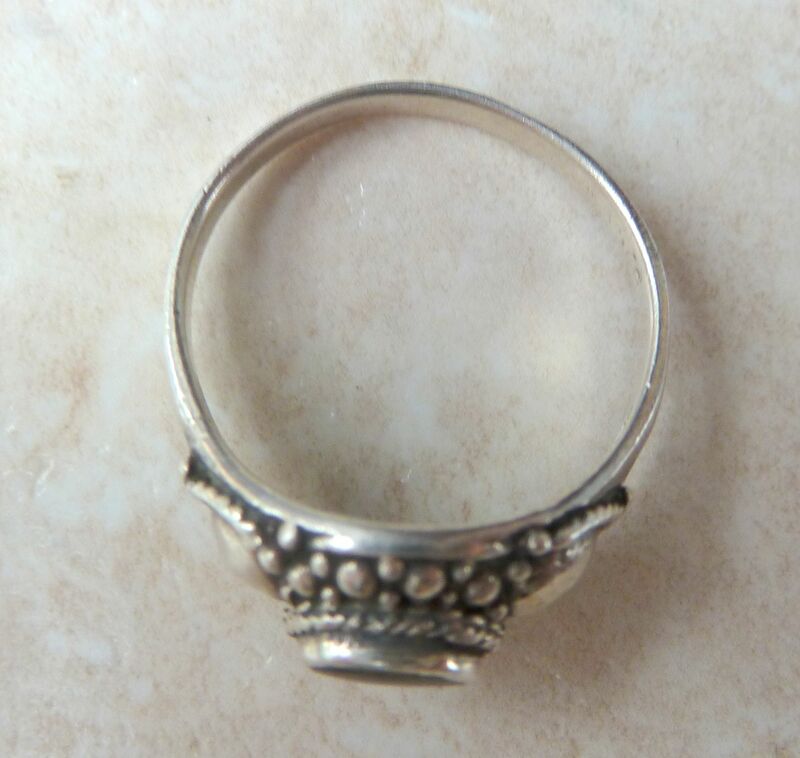 The ring is stamped 925 to the inside. It is suitable for a UK size Q 1/2, US size 8 1/2. Faux marcasite and onyx detailing. 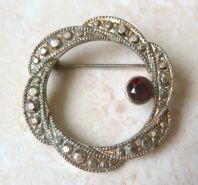 Vintage Faux Marcasite And Garnet Wreath Brooch. Vintage faux marcasite and mock garnet set wreath design brooch.